Dorothy Ko. 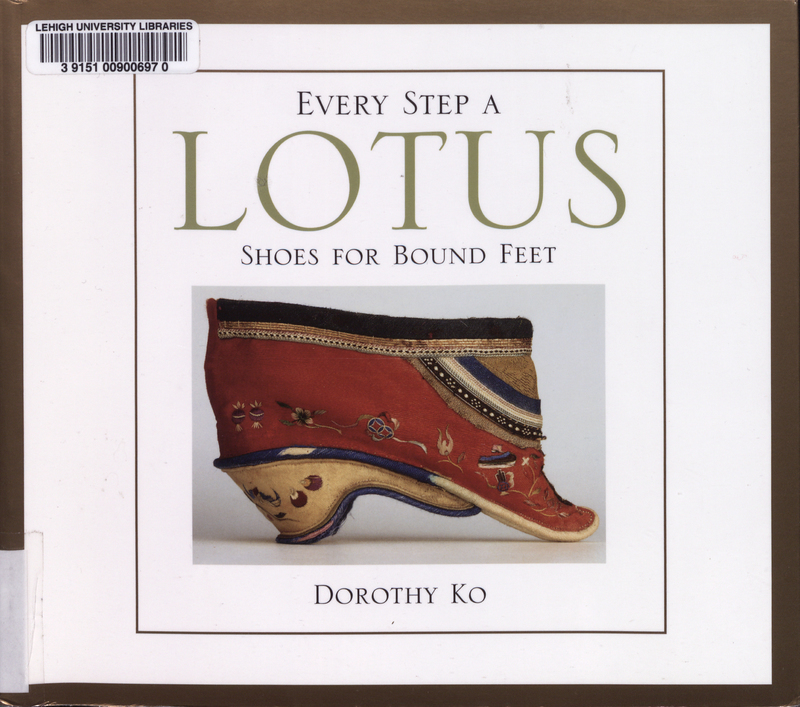 Every Step a Lotus: Shoes for Bound Feet. Berkeley: University of California Press, 2001. 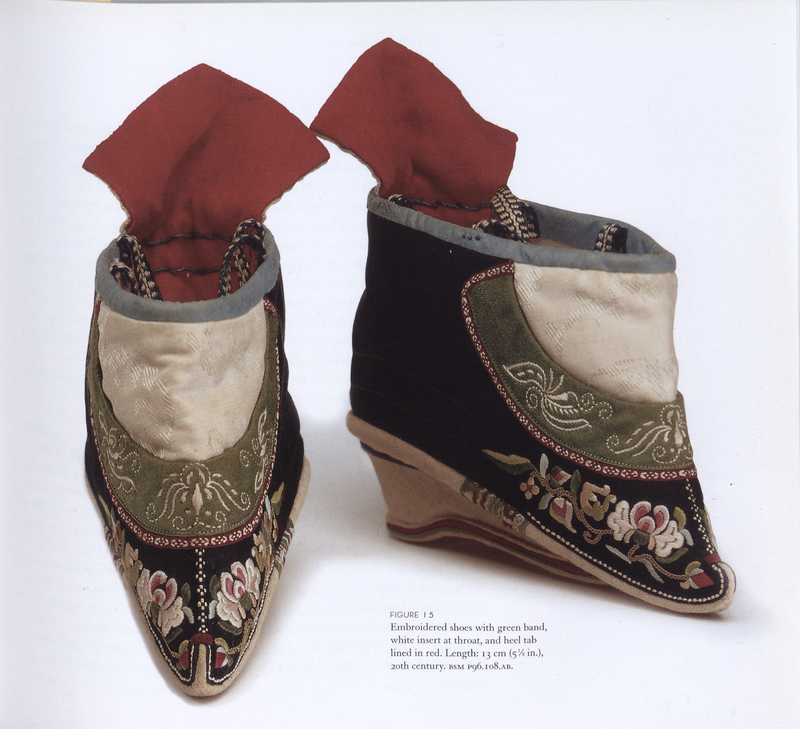 Through a study of surviving shoes, Ko examines the practice and fashion of foot binding in China. Popular for women in China between the 13th and 19th centuries, foot binding began with the upper classes, and extended into the less wealthy communities in the 17th and 18th centuries. 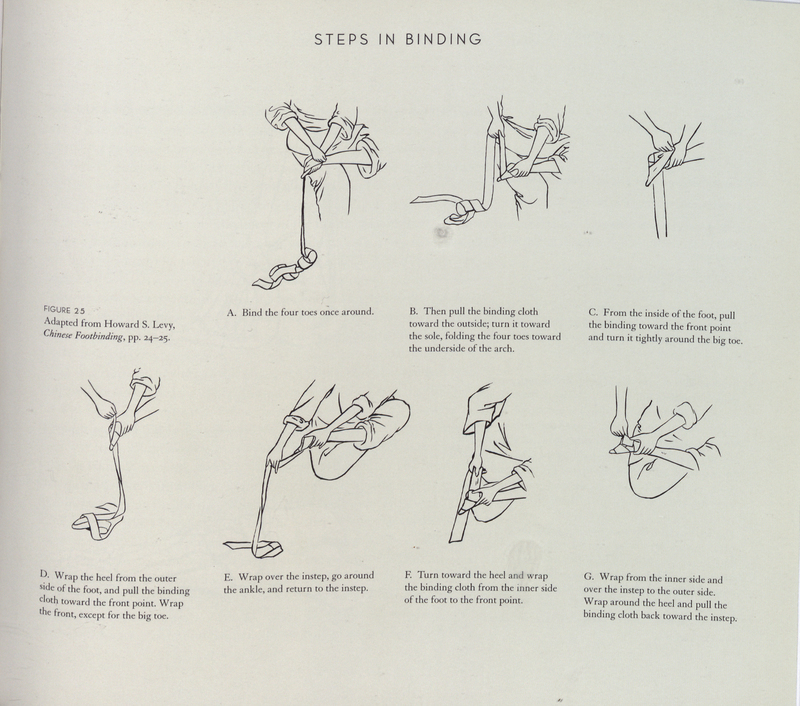 The process resulted in a shortened length of the foot and a shorter, narrower, sole.